The first who did funny things now known as comedy started around 5000 years ago in Egypt. First they were just people who were called Dangas (African pygmies) that did things that will amuse the pharos and the royal family’s. They dressed like a egyptian god Bes a god who is known as a dance and battle goddess. So they were wore leopard skin clothes and wore strange masks. In other places such as China had a comedian known as Yu Sze which who was a clown of Ch’in Shih Huang-ti, who built the Great Wall of China. In Ancient greece there were also an interesting person who wore interesting looking short tunics which were grotesquely padded at the front and rear and knitted socks like tights. He had an exaggerated artificial phallus strapped around his loins. Also there were diffrent kinds of comedians in Roman as well. They were more upgraded then the greek clowns. Turkey in about 1440 there was a well known clown who became a folk hero when he told people “tall” stories about him. His name was Nasr el-Din and he was famous for his cunning, naivety, buffoonery and shrewdness; he loved to score off other people and play practical jokes. This is when the records has started to be wrote down as more people understood the importance of comedy/clowning. By the 14th Century, the professional funnymen did there thing in many Royal households by getting told to do it rather then doing it with the flow. In the 1700’s the slap stick was made. This was imported from Italy which is known as Italian Commedia del’arte al improviso (professional improvised comedy). For this one the actors needed to improvise the play but based on a story line. These were usually simple theme lines and one example was about two lovers. Two young lovers are trying to elope and they are constantly thwarted by the girl’s father (Pantaloon) and his friend the Doctor (both old men). Skirmishing around this quartet are a number of extra characters, including soldiers (Scaramouche, the Captain) and servants, Zannis (hence our word Zany). By the time the pantomime arrived in Britain, Harlequin and Columbine were the two young lovers. The Harlequin was given a magic bat so that he and his lover could transform scenes magically to escape the mad chases and when he does that he slaps the stick. That is why these kind of acts are now called slapsticks. Circus means ‘circle’ or ‘ring’ in Latin and this was a place where people see non-narrative and highly physical variety of performances which the people acted in the middle. As the centuries went by the acts has changed from cruel ones to the more light-hearted ones. The famous one for the ancient circus was the Circus Maximus which showed chariot racing and Colosseum or Coliseum which showed for lethal gladiatorial combat. The circus now is more like the ones that go around different places and move on after few days or weeks. But the roman ones were different from this and they were way more cruel. They were cruel because they made the slaves or the animals fight for there life but usually got killed in the end. Philip Astley was the one that made the ‘circus’ a circus we call now. He went in to show business after returning from service in the French and Indian Wars of North America. His trained horses and agile riders performed equestrian tricks in a ring before a paying audience. This eventually turned in to dancing dogs and different comedys. Astley was the first to realise that a 42 metre circumference ring was the best measurement for a horse to canter around, when the performers can do there tricks on top of them. But then realized that that was not enough to entertain people so he decided to put more genre’s into the circus like clowns and other performers that could do tricks that most people can’t do. As more people started to develop more circuses there were more funny things created such as: modern Whiteface Principal Clown, the Boss Clown, in sequins and conical hat and graceful shoes. As the years went by people did not feel much from the white face but there was one thing that came up that made the whiteface interesting again. That was the mime. A famous person is a french clown whose name is Perriot. Probably one of the most inspired and famous mimes is Frenchman Marcel Marceau, his clown being named “Bip”. He was really good with mime and with mime we don’t use our mouth. So how he over exaggerated the things he did was the thing that happened. Another person who is famous for comedy is Charlie chaplin there is a video below to show how he is like. She wanted to buy something attractive to sophie’s birthday party. Something that is original and fits her size. She likes wearing jeans and T-shirt because that is easy to carry around. Qu’est-ce que Magali dit de ces vêtements? : She likes the clothes that she buys at last. The green ones. la première jupe que la vendeuse propose. : She says that it is not the type of fashion she wears. la jupe verte en 38: She ask for a bigger size. Qu’est-ce que Magali répond à la vendeuse? Qu’est-ce que vous faites comme taille? : Je fais du 38. Comment la trouvez-vous? : Bof. Ce n’est pas tellement mon style. Ah, très chic! C’est tout à fait votre style. : Vous trouvez? Mais, je ne sais pas quoi mettre avec. express indecision? : Je ne sais pas quoi mettre. express satisfaction with your clothes? : C’est simple et agréable à porter. express dissatisfaction with clothes? : C’est pas tellement mon style. ask for a certain color or size? :Est-ce que vous l’avez en… ? Yes because she went out with Florent and Ahmed. Yes because she mentions in the first part that he was super gentil and they also have similar things they like. Her father wanted to call some one so she had to hang up. 1.Elle est allée au théâtre antique. 4.Elle a parlé avec Hélène au téléphone. 2.Elle a rencontré un garçon sympa. 6. Qu’est-ce qui s’est passé? What do you think happened to Magaliat les Baux? Final Goal: I will like to get a better grade on my assignment. 6 month~1 year: I will like to be able to turn in all assignments ready to go by the day befor completed. Design: In design we had to communicate a lot to get our ideas in one. We made an animation each that represents a issue or a problem in the real world. I did the problem with bullying because I heard a lot of news about it recently. I want to improve on my drawing but also talking to others and asking what they think and get ideas from them. English: In english the first Unit was about fantasy. We talked about symbols and how it is shown in different scenes such as movies, books, magazine and etc. I showed my communication skills through an essay about a book we read in english class. 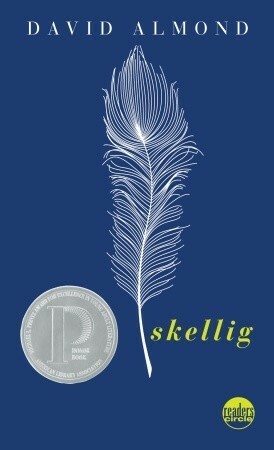 The book’s name is skellig and is about a lot of characters supporting each other by meeting each other and learning about each other. In this essay I asked some people to look over it so I would be able to write a good essay or can learn where I need to improve. I want to improve on my skills in writing throughout different writings. Not only talking to someone is communication skills but to actually tell your message in a writing is an important technique I would to like to be able to improve. Japanese: In japanese class we have completed 3 units right now. 1st one was about poems and the second one was how to talk about news cast. The most recent one was about thinking about war. We looked at the text book that explained what happened in the Hiroshima bomb and those who had died in that disaster. Then we did a 3 minute speech about what we think about war. The message I wanted to address in the speech was how people aren’t actually feeling the way they say until they actually felt that way. Throughout this speech I was able to also tell if we will be able to have a piece full world or the world will never be peaceful. In this piece I think I had a new way of telling somebody about my thoughts. Also listening to other people’s ideas I was able to know what others think about war and If we could stop them. I will like to improve on writing more convincing sentences because my speech was a bit unconvincing. PE: In PE we did a unit on handball. We first talked about the differences between a tag game and a invasion game. Then we started to play different games such as capture the ball (with 3 or more balls), tail tag, toilet tag (similar to freeze tag) and etc etc. Then after that we did short games of handball with a chosen team. At break times we talked about how we can stop the other team from scoring and talked about strategies that we could use to score our goal. This took a lot of social skills because we needed to think, watch and tell our ideas to our team mates. In the assessment I told one of my ideas and mentioned my friends idea because that worked better then my idea. I will like to improve more on watching people and sharing my ideas on how we could win the game. Math: Math is one of the things that I looked forward to in 8th grade. when I was in 6 and 7th grade I was not able to understand about some of the math that the teacher was teaching me and couldn’t go with my friends pace. But going into 8th grade I was able to understand some of the calculations that the teacher was talking about and how to solve more problems. In 8th grade we did a casino that we called the 6th grades to come. We paired up with a partner and my partner was Vienna. Me and Vienna worked hard on deciding on a game that could call enough people into our casino but enough for us to make money. The part I need to improve in math is how memo down what the teacher is talking about. I do listen teacher and when he tells us to make notes I take them but. I sometimes get confused if I don’t write them down nice and neat. So I want to be able to write more neater in my note book. I&S: In I&S we need it to work on different things like researching on the internet, going to library and talking to others. This year I think I had worked well on an assessment we did about religions. This was a group project with me and another boy Everest who had done a really good job of working hard on it. I think I did will in organizing the slides and organizing my schedule to when I was going to do what. The thing that I think I need to improve on is my organization skills for my sources. I forgot to take the sources so sometimes I needed to change it. Other times I did it wrong or did not put it in the right order. Mrs. Vance has now taught us how to source our sources so I will like to use that and source my sources right. Drama: In drama we had worked on different things but the thing I researched the most was the speech. The speech was about the problem with wild cats in our neighbors. After that I wrote a reflection on the blog. I mentioned the places I did well and places I need to improve on. The place I need to improve on in drama is my improvisation skills. It is one of the hard things in drama. I can talk but when I forget my words I panic a lot. I will like to improve on my improvisation skill. French: In french we have done a lot of assessments and a lot of projects. One of the things that we once needed to research was about the ivorian diet. Is the ivorian diet a healthy one? I researched about a food called fufu. The librarian mrs. Vance helped us research and how we should research. This worked well and my assignment was completed quickly and well. I will like to improve on listening to the teacher and practicing more with french especially because I am taking french next year. ART: In art class we did a big unit on clay. This meant thinking creatively which is my favourite way of learning. My notebook has lot of things about this unit such as: What Mingei art is, why people make it, what kind of things to do, how to use some tools, how to make a cup, how you think you can improve on the things, the idea for the final piece and feedback from others. I think I did well in thinking creatively. I had a lot of ideas in my head and I wanted to write down everything but I chose between two at the end. I was thinking a light holder or a chopstick holder. In the end I chose the chopsticks holder which turned out more like a napkin holder because it got quite big. The place I need to improve is how I organize my time. I think I did that well in this unit but I still had too much things to do in a very short amount of time. Next time I will like to manage my time more. Goal 1 To be able to source sources right. 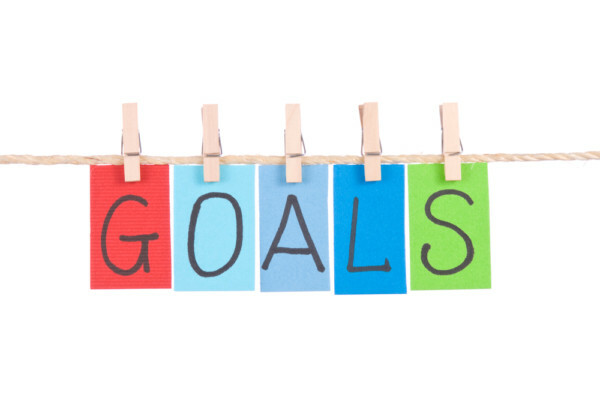 Goal 2 To be able to do things before hand. Goal 3 To organize my time wisely. How can I grow as a public speaker? I think I could grow as a public speaker by expressing my thoughts outside of drama class. We have a lot of opportunity in different places and times in our life. I think I want to first remember what I am going to do. I am in a group in Gin Cas that supports the animal shelter in Higashihakuraku. I might have an opportunity to talk in front of everyone or address what the message is. If I am going to do that, I will like to be able to talk smooth and memorize what I am going to say. I also need to look at different people and perject my voice. To be able to perject my voice, I need to be confident on what I am saying and be able to look at peoples eye in the audience. In music class we worked on a project on composing music with only using CFGA chords. In my group I had Kelly, Jess, me and Carlene and we made a music that is above. I did the chords, Kelly did the base and Jess and Carlene sang the melody. The lyrics is from a song called I hate you I love you by Olivia O’Brien. I talked about how we should reduce the amount of cats in the wild. In drama we did a unit on speech. I tried to address about how people are feeding the cats in the street. I talked about 3 main reasons why we should not feed the cats. I think I addressed the part about how and why this is not really good thing to do. The things I did well in the speech were projecting my voice. I think the voice was heard able. I think how I have organized my speech was good. I first gave a hook asking the audience if they like animals, then I asked them about cats. I made the statement that they are beautiful animals to tell people that I do not dislike the cats but I don’t like how the people feed them. After that I gave the 3 main points that I wanted to talk about, then I gave some examples and explanation why they are outside in the first place. After that I gave the three main reasons and gave them examples to support the statement. Then I gave them how some people are also supporting the animals by getting them to do surgery so they don’t get kids. Lastly I gave an over view about what I have talked about and why this is important. This was how I planned to make my speech and it worked well. The parts I could fix are many places. 1. I forgot to greet people. The first greetings are very important and I forgot that. Next time I need to include this in my speech. 2. The eyes are looking at the right or the left but it is moving around too much. I was also not looking at the camera or even the teacher so that was where I could fix. 3. I pulled up my sleeve an occasionally so that was distracting. Next time I should ware a sleeve that is short or wear something that won’t have the sleeve sliding. 4. I look at the que cards too much. This means I have forgotten the thing I wanted to say and did not practice much. Some time I even fiddled with them so that was no good. 5. I said to many and’s and but’s. This means I am thinking out a word and that shows that you are doing a lot of improvisation or forgetting too much of your speech. 6. My face is always one emotion. Blank. I need to change my face as I go. 7. Forgetting the important word is a bad thing because if you wanted to say something and you use another word it does not mean the same thing and also it tells people that you are stuttering. 8. Repeats a word when I can’t think of the right word. This shows that I was ether very shy or was not prepared. I did this a lot in my speech so next time I need to think of the things I am going to say and memorize that. 9. I was unfriendly at the end. The emotion on my face was blank and how I ended was quick and not right. The speech could be used in many different places. in a presentation, in a speech of when you are convincing someone. The speech is a very important thing to be able to do when you are still in elementary. It could be used in a big place like explaining why you want to be the president of high school student council or it could be used in a small time like convincing your mom why she need you to buy a chocolate Ice cream. (because it’s yummy!! (^o^)/). It could be small or big it is needed to be able to convince someone to do something that you want. We did all kinds of different things to learn about speech but first you do the body posture. Legs apart in a shoulder length, hand on your sides not fiddling with anything and straight back. Then we tried a scene where we needed to choose a setting that was calling a person and asking about where and how they can do a specific work. After that we did a job interview that was more serious then the one befor asking why the person wanted to do this job. Then we did a mini speech about our passion and then did the speech. As I talked about the speech I did and some other things we always are going to use speech sometime in our life and it is very important to be able to say something that you want to address. Is the Ivorian diet a healthy one? There are many different food in Côte d’Ivoire but one of the most common traditional food is called Fufu. It is used as a usual food that they eat for lunch or dinner. It is also eaten with curry that has peanut paste and chicken curry. Which dishes are specific to Côte d’Ivoire. This is a dish that is seen really common Côte d’Ivoire and africa because a lot of people who lives in Côte d’Ivoire is from Africa. A specific recipe with its picture and the ingredients used. Please provide some background information about this recipe. Place the unpeeled yams in a large pot, cover with cold water and bring to a boil over medium-high heat. Boil for 15 to 30 minutes, or until the yams are cooked through and tender. Drain and let cool somewhat. Peel the yams, chop them into large pieces and place them into a large bowl with the butter, salt and pepper. Mash with a potato masher until very smooth. Alternatively, put the yams through a potato ricer and then mix with the butter, salt and pepper. Place the fufu into a large serving bowl. Wet your hands with water, form into a large ball and serve. Fufu is made with a wide variety of starches. White yams are most popular in West Africa, sometimes mixed with plantains. Central Africans tend to favor cassava root (yuca). Africans far away from home will sometimes use potato flakes or Bisquick™. Other options are sweet potatoes or semolina and ground rice. A variety of flours (rice, plantain) can also be boiled with water to form a starchy mass. Use half yams and half plantains if you like. Simply boil the plantains unpeeled along with the yams. Then peel and mash along with the yams. Cuban Fufu: use all plantains and mix in some pieces of roast pork or pork cracklings. Add a quick squeeze of lime juice if you like. Yam is a food that goes in the category of starch so it is healthy. They could also eat curry and probably have some kind of vegetables with it. The curry also has vegetables in it that is supporting that taste and the balance of diet. An answer to the conceptual question: “Is our diet influenced by our culture? In other words, how much the Ivorian culture has shaped its diet. For example, did you find that as a former French colony it has adopted some French food products or adopted the French way of eating? They have both things. Although they are keeping the culture from there country they also eat things like the french rice and other food products like fried banana’s are seen on there table as well. They also got influenced by doing street food such as fried yams. Your personal response to the debatable question: “Tell me what you eat and I will tell you what you are” in the context of Côte d’Ivoire. In other words, in your own view how is it important to eat good food in order to be healthy and fit? Do you think that it is important? I think eating is a very improtant thing in our lives. I think in our culture we have produced our own way of thinking and making our selves healthy and so did they. I think they have unique food that is making there lives a fun and balanced days. I think there food is unique that we don’t have any thing like that in Japan but in the world there is always interesting ways of thinking about how food works. What are 3 famous songs he composed?